Sweet Jojo Designs Sophia 3pc twin sheet set is made to coordinate with their Twin Bedding Sets. 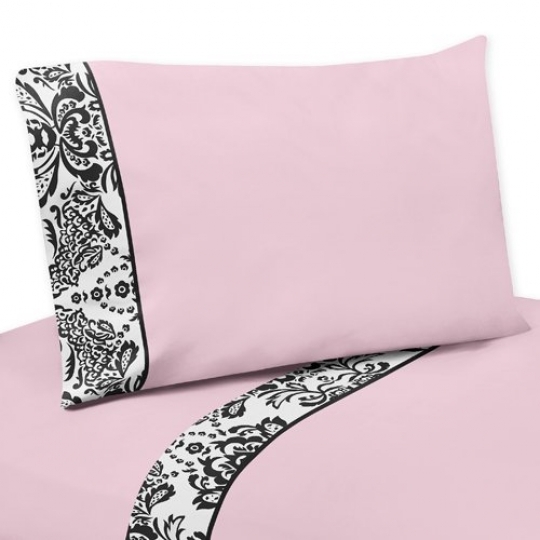 These sheets use solid baby pink made of 100% Cotton with Black and White Damask trim and solid black piping. High quality and easy machine washing will make this twin sheet set a must have for your room. Includes 1 fitted twin size sheet, 1 flat twin size sheet and 1 standard pillow case.